One of the most exciting collectives to emerge in the past few months is ‘Greymatter‘. Formally known for its incredibly high-quality clothing merch, they have transformed it into a club-night as well now. 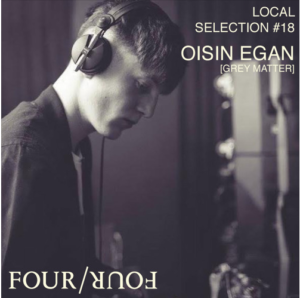 The founder of Greymatter Oisin Egan takes the spotlight this week with his local selection mix, showing just the kind of style Greymatter wishes to push.